1) (co. Derby, and Stoke, co. Suffolk). Ar. three battle axes in pale sa. 2) (South Perrott, co. Dorset). Same Arms, a bordure ermines. Crest—A leopard pass. guard. erm. 3) (co. Hertford). Az. three poleaxes in pale ar. garnished or. Crest—An arm embowed in armour ppr. garnished or, holding in the gauntlet a poleaxe ar. 4) (Elmestone, co. Kent). (Tyntesfield, co. Somerset, and Clyst St. George, co. Devon). Ar. three battle axes sa. Crest—As the last. 5) (Clifton Hampden, Oxon). Same Arms, a bordure nebuly sa. Crest—In front of a rock a dexter arm embowed in armour, the hand in a gauntlet ppr. holding a battle axe sa. Motto—Tenax propositi. 6) (Honington, co. Warwick; confirmed by Camden’s Deputies to Sir Henry Gibbes, Knt., of Honington). Sa. three battle axes in pale ar. Crest—Three broken tilting spears or, two in saltire and one in pale, enfiled with a wreath ar. and sa. 7) (Aldenham Park, Herts). (Tyntesfield and Charlton, co. Somerset, and Clyst St. George, co. Devon). Per fesse ar. and erm. three battle axes sa. Crest—An arm embowed in armour, garnished or, and charged with a cross couped gu. in the hand ppr. a battle axe, as in the arms. Motto—Tenax propositi. 8) Or, on a chev. sa. betw. three holly branches vert, fructed gu. two cats respecting each other ar. on a chief az. guttee d’or, a cross pattee of the last. 9) Lozengy ar. and gu. on a bend az. two fleurs-de-lis or, in the dexter chief point of which as many annulets conjoined of the first. 10) Ar. on a chev. betw. three filberts sa. two cats combatant of the field. 11) Ar. a chev. gu. betw. three leopards’ faces az. 12) (Derry, co. Cork, and Ballynoran and Inchigeelagh, in same co.; confirmed to John Gibbs, Esq., son of John Gibbs, Esq., of Ballynoran, co. Cork, son of Rev. John Gibbs, of Inchigeelagh, co. Cork, second son of Daniel Gibbs, of Derry, grandson of Daniel Gibbs, of Cork, who bought Derry, co. Cork, in 1703, and to the other descendants of the said Daniel Gibbs, the purchaser of Derry). Ar. three battle axes in pale sa. Crest—A griffin’s head erased ar. pierced through the back of the neck with an arrow or, barbed and feathered of the first. Motto—Frapper au but. 13) (The Yews, Sheffield, co. York; certified in Ulster’s Office to John Gibbs, of that place, only surviving son of John Gibbs, Esq., of Ballynoran, co. Cork). Quarterly, 1st and 4th, ar, three battle axes erect in fess sa., for Gibbs; 2nd and 3rd, gu. betw. three demi lions ramp. erminois a plate, for Bennett. Crest—A griffin’s head erased ar. pierced through the back of the neck with an arrow or, barbed and feathered of the first. Motto—Frapper au but. 14) (Venton, co. Devon; an old family, from which are presumed to descend Gibbes, Bart., of Barbados, and Gibbs, of Aldenham, co. Hertford). Ar. three battle axes sa. 15) (Aldenham, co. Hertford, and Clifton Hampden, co. Oxford. George Henry Gibbs, Esq., of Aldenham, m. Caroline, dau. of Rev. Charles Chawley, Kector of Stow, co. Northampton, and was s. by his eldest son, Henry Hucks Gibbs, Esq., of Aldenham, J.P., a Commissioner of Lieutenancy for London, and a Director of the Bank of England). Ar. three battle axes sa. a border nebulee of the last, quartering for Hucks of Aldenham, Ar. two chevronels betw. three owls az. Crest—In front of a rock a dexter arm embowed in armour, the hand in a gauntlet ppr. holding a battle axe sa. Motto—Tenax propositi. 16) (Sainthurst, co. Gloucester). Ar. three battle axes in pale sa. 17) (Fackley, co. Oxford, bart.). (co. Devon). Ar. three battle axes sa. Crest—An arm embowed, steel, in armour, garnished or, the hand in a steel gauntlet, grasping a battle axe, as in the arms. Motto—Tenax propositi. 18) (Perrott, co. Dorset). Vert three cats pass. ar. 19) Or, on a chev. sa. two cats respecting each other ar. on a chief az. guttee d’or, a cross pattee gold, in base a holly branch fructed vert, leaved gu. 20) Az. three battle axes or. Crest—An arm armed or, holding a battle axe ar. 21) Same Arms, battle axes ar. Crest—An arm fesse­ways ppr. vested ar. cuffed and purfled at the shoulder sa. from the elbow in pale holding a palm branch of the first. 22) Paly bendy ar. and gu. on a bend az. two fleurs-de-lis of the first. The surname Gibbs is an English (and Scottish and South Welsh) patronymic (son of) from the name Gibb or Gib, a common medieval personal (first) name, which were shortened or reduced forms of the masculine given name Gilbert (a name meaning bright pledge, deriving from the Germanic words gisil, bright, and beraht, bright, a name introduced by the Norman into England during the Norman Conquest of 1066 AD). It can also be a contracted form of MacGibbon, meaning “Gilbert’s son”. According to Arthur William Moore, in his 1890 book Manx Names, “The descendants of Gilbert Fitzgerald, a younger son of John Fitzgerald, ancestor of the houses of Kildare and Desmond, assumed the appellation of MacGibbon”. Once source asserts the name first established into in Inverness-shire, an ancient location that had been a stronghold of both the Picts and Norwegians (Vikings). Some spelling variants or names with similar etymologies include Gibbs, Gybb, Gibbes, Gybbes, and Gibbis. The last name Gibbs ranks 478th in popularity in the United Status as of the 2000 Census. The name ranks particularly high in the following four states: Delaware, South Carolina, Georgia, and North Carolina. The surname Gibbs frequency/commonness ranks as follows in the British Isles: England (306th), Scotland (887th), Wales (170th), Ireland (1,830th) and Northern Ireland (2,305th). In England, it ranks highest in counties Dorset and Somerset. In Scotland, the surname ranks highest in Moray. In Wales, it ranks highest in county Glamorganshire. In Ireland, it ranks highest in county Waterford. In Northern Ireland, it ranks highest in Fermanagh. The name is also present throughout the remainder English speaking world: Canada (1,260th), New Zealand (203rd), Australia (354th), and South Africa (1,344th). Henry Brougham Guppy’s 1890 book Homes of Family Names in Great Britain states the following in regard to this last name: “Confined to the southern half of England. In the northern counties its place is taken by Gibson. Its principal homes are in Gloucestershire and Warwickshire”. Adam Gibbe was documented in 1311 AD in the Writs of Parliament. Two marriages involving this surname include Agnes Gibbs to William Chanler at Harrow on the Hill in 1562 AD, and Ann Gibbs to Thomas Fleetwood at Cranford in 1604. The lineage or ancestry of this branch of the Gibbs family tree traces back to two brothers who lived during the reign of King Richard II of England (1377-1399). One lived at Honington in county Warwick, and his descendants continued there for many generations. The other, John Gibbe (or Gibbs or Gibbes), lived on an estate called Venton (or Fenton) in the parish of Darlington in county Devon. During the later part of the 1400s AD, a junior branch of the Venton family established itself in Exeter, and also in areas in Woodbury and Clyst St. George. In 1560, in the village of Clyst St. George, John Gibbe purchased the estate of Pytt. George Gibbs of Clyst St. George was born in 1604, the son of John Gibbe who died in 1652, and the grandson of George Gybbes, left with his wife Alice five sons and three daughters. The fourth son, Abraham Gibbs of Topsham, county Devon, was born in 1649. He married Tryphaena daughter of William Rowe of Shobbrooke, county Devon, and had a son with her named Abraham. This son, Abraham Gibbs, was also of Topsham and was born in 1686. His second wife was Sarah, daughter and co-heir of Robert Lisle, and had an only son named John. John was also of Topsham and was born in 1723. He married Elizabeth, daughter and heir of William Meachin, and had seven issue with her as follows: 1) John (1775), 2) William (married Susannah Ley, had issue named William Henry of Naples, Palermo, and Genona, John, Lyle, Abraham, Charles, Frances, Mary Matilda), 3) Abraham (of Naples and Palermo, married Mary Elizabeth Douglas, had issue named Mary Elizabeth Catherine), 4) George (1761), 5) Lyle (of Genona), 5) Thomas (Lieutenant of the Royal Navy), and 6) Elizabeth (married James Richards of Abbot’s Leigh). With his first wife, Mary Monke, Abraham Gibbs of Topsham, had a daughter named Anna (married Mr. Remmett of Crediton) and sons named George and George Abraham. His son, George Abraham Gibbs was an Esquire of Exeter who succeeded to the estate of Pytt in 1723. In 1747, he married Anne, daughter and co-heir of Anthony Vicary of Exeter and Elizabeth Munckley, and had give sons and five daughters as follows: 1) George (born 1748), 2) Sir Vicary (of Hayes, Kent, Member of Parliament for the University of Cambridge, Lord Chief Justice of the Common Please, married Frances Cerjat Kenneth, daughter of Major William Mackenzie, had daughter named Maria Elizabeth), 3) George (of Redland, county Gloucester, and of the city of Bristol, a Merchant, married Anne Aleyn and had issye named George, George of Belmont, Richard, Joanna, Anne), 4) Abraham (of Exeter, Merchant), 5) Anthony, 6) Elizabeth (married Robert Butler Remmett of Plymouth, had a son named Robert), 6) Anne (married Samuel Banfill of Exwick House), 7) Mary (wife of Reverend Charles Crawley, had Charles Crawley, George Abraham Crawley, Anne, Mary, Elizabeth, Isabella, Caroline, Charlotte), 7) Sibella, 8) Sarah, and 9) Catherine (married Mr. Burroughs of Taunton). The youngest son, Anthony Gibbs, was an Esquire of London and a merchant who was born on March of 1756. 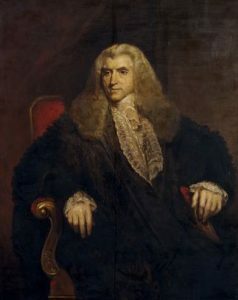 He married Dorothea Barnetta, daughter of William Hucks of Knaresborough and Eleanor Barnett, and had issue as follows: 1) George Henry (discussed below), 2) William (of Tyntesfield), and 3) Joseph (of Perpetual Curate of Clifton Hampden, married Emily Vaughan, daughter of Charles of Crickhowell, inherited Belomnt in 1864, had children named Joseph Henry, George Louis Monck, Joseph Hucks, George Henry, William Cobham, Stanley Vaughan, Emily Harriett, Dorothea Barnetta, and Harriett Theresa). The eldest son, George Henry Gibbs, was an Esquire of Aldenham Park, county Herts, England and of Clifton Hampden, county Oxford who was born in 1785. 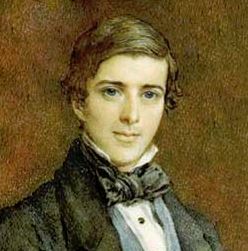 In 1817, he married Caroline, daughter of Reverend Charles Crawley and Mary Gibbs, and had issue with her including: 1) Henry Hucks (discussed below), 2) Antony (of Merry Hill, married Isabella Margaret Gordon), 3) George (of Exeter College), 4) Charles (Lieutenant Colonel) 5) William Lloyd, 6) Reverend John Lomax (Vicar of Clifton Hampden, married Isabel Marianne, daughter of Robert Bright of Abbotsleigh, and had issue with her as follows: John Arthur, Robert Tyndall, Reginald, Francis Lomax, Caroline Blanche, Isabel Alice, Mary Beatrice, and Ethel Constance), 7) Francis (born 1834), 8) Robert Crawley, 9) Caroline, and 10) Mary Dorothea (married George Edward Cokayne, formerly Adams, had issue). His son, Henry Hucks Gibbs, was an Esquire of Aldenham Park, county Herts, and Clifton Hampden, county Oxford and Justice of the Peace who was born in 1819. He was also one of the Directors of the Bank of England and attended Exeter College Oxford. In 1845, he married Louisa Anna, daughter of William Adams of Thorpe and Mary Anne Cokayne of Rushton (co-heiress of Borlase, 6th Lord Viscount Cullen), and issue with her as follows: 1) Alban George Henry (B.A., Christ Church, Oxford, married Bridget Beresford-Hope and had children named Catherine Louisa and Mildred Dorothea), 2) Walter Anthony (born 1850), 3) Vicary (born 1853), 4) Herbert Cokayne (1854), 5) Kenneth Francis, 6) Henry Llyod (1861), and 7) Edith Carolina. The Gibbs Family Crest of this branch of the family is blazoned in the medieval European art of heraldry as follows: Argent, three battleaxes, erect sable a bordure nebuly of the last. Crest: In front of a rock a dexter arm embowed in armour, the hand in a gauntlet proper, bearing a battleaxe sable. Motto: Tenax propositi. This family was seated at Aldenham Park, near Watford, Herts. They had a town house at St. Dunstan’s, Regent’s Park, N.W. Matilda Blanche Gibbs of Tyntesfield, in the parish of Wraxhall, Somerset, England, was the widow of William Gibbs of Tyntefield, son of Anthony Gibbs and Dorothea Barnetta, daughter of William Hucks. 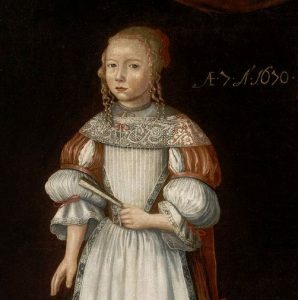 She was the daughter of Sir T. Crawley-Boevey, Baronet of Flaxley Abbey, county Gloucester, and Mary Albinia Page, and had the following children herself: Antony (of Pytt, born 1841, Justice of the Peace, married Janet Louisa Merivale, had issue named George Abraham, Anthony Hubert, William, Albinia Rose), William, George Abraham (born 1848, died in Kingston Jamaica in 1870), Henry Martin, Dorothea Harriett, Alice Blanche (married Reverend Alfred Gurley, son of Reverend Hampden Gurney, had issue named Cyril and William Hampden), Albinia Anne (born 1853). This family resided at Charlton, Nailsea, county Somerset, and Tyntesfield, near Bristol. The Gibbs genealogy or ancestry of this branch of the family tree traces back to Daniel Gibbes, Esquire of Cork, and of Derry, Ireland, who descended from the Gibbes of Devon. He had numerous children as follows: 1) Catherine (married John Norcott), 2) Elizabeth, 3) Judith, 4) Mary, 5) Sarah (married Joseph Ffranklyn of Brittas), 6) John (Esquire of Derry), and 7) Daniel. His son, Daniel Gibbes, Esquire of Cork, Ireland, was admitted as a Freeman at Large in 1725. He married Frances, daughter and co-heiress of George Bennett, Alderman of Cork, and Lucy French, and had four sons with her prior to his 1763 death: 1) Elizabeth, 2) Frances, 3) Daniel (of Derry, county Cork, Justice of Peace, Deputy Governor of Cork, married Mary Warren of Warrenscourt, had children with her named Daniel Robert, Lieutenant John Bennett, Reverend Robert Warren, Anne, Frances, and Mary), ands 4) John. 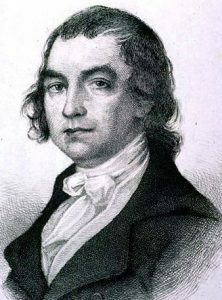 The second son, Reverend John Gibbs, of Inchigeelagh and Ballynora, in 1779, married Frances, daughter of Richard Browne of Coolcower and Sarah Mitchel of Horville, and later he married Isabella Connell, and had the following children with the former: 1) John (his heir), 2) Richard Brown (married Martha, daughter of William Piere and Mary Anne Kyme, had children named Richard Butler, William Daniel, George Sleight, and Matilda), 3) Daniel Henry (shipwrecked in Torres Strairs in 1832 and never heard from again), 4) George Bennett, 5) Albert (married Elizabeth, daughter and co-heir of Henry Douthat, Esquire of the city of Cork), and 6) Sarah (married John Bennett Gibbs of Derry and later John George Pyne of Ballynacarriga). He died in 1806. His eldest son, John Gibbs, was an Esquire of Ballynora and a Captain in the Royal Cork City Militia. In 1810, he married Louisa, daughter of Reverend Edward Cary of Munfin and Mary Loftus, and had three issue with her as follows: John (his heir, Maria (2nd wife of Charles R.W. Lane, Lieutenant General of H.M. Indian Army), and Louisa. He died in 1818 and was succeeded by his eldest son: John Gibbs, Esquire of The Yews, county Sheffield, county York, a Captain in the Cinque Ports Volunteer Artillery, born in 1811. 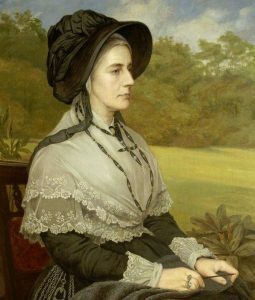 In 1849, he married Anne, daughter and co-heiress of Mark Skelton of The Yews and Anne Thorp of Banks Hall, and had two children with her: Louisa Christina Waldegrave and Anna Maria Selina. The Gibbs Coat of Arms has the following heraldic blazon: Quarterly: 1st and 4th, argent, three battle-axes erect sable, for Gibbs; 2nd, gules, a plate between three demi-lions couped erminois, for Bennett; 3rd, sable, a bend argent between two dolphins, naiant, proper, for French. Crest: A griffin’s head erased argent pierced through the back of the neck with an arrow or, barbed and feathered of the first. Motto: Au but. This branch of the family tree was seated at The Yews, Sheffield, England. 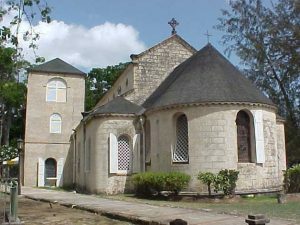 Sir Philip Gibbes was born in St. Jame’s Parish, Barbados, in 1731. He was the son of Philip Gibbes (died 1763) and Elizabeth Harris. His paternal line traces back to Henry Gibbes of Bristol. He became a planter in Barbados. He also had discussions with Benjamin Franklin regarding the American Revolution while in Paris. In 1753, he married Agnes Osborne, daughter of Samuel Osborne, a Barbadian planter born in England. They had four children together: Philip, Samuel (had a son named Samuel, 2nd Baronet), Elizabeth (married Charles Abbot, 1st Baron Colchester), and Agnes. Sir Samuel Osborne-Gibbes, 2nd Baronet was born in 1803. He was a British Army officer, plantation owner, and Freemason. He married and had a son named Edward, who became the 3rd Baronet. The 4th Baronet was Sir Philip Arthur Osborne-Gibbes (1884-1940). George Gybbe was born in Clyst, St. George in 1516. He had a son named John. John Gybbe was born in the same town in 1538. He married Cecilie Coade, and had a son named William. Williams Gibbs was born in Martock, Somerset, England around 1575. 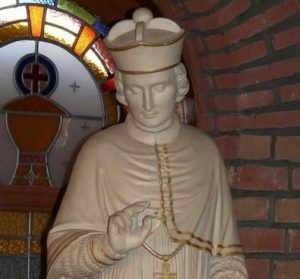 He married Mary Newcourt and had three sons with her: Francis, Joseph, and George. Thomas Gibbs was born in Combe, Folkestone, Kent, England in 1460 AD. He married Alice Trenwell and had a son with her named John. This John Gibbs was born in Patrixborne, Kent, England in 1495 AD. He married Margaret Champney and had three children with her as follows: William, Thomas, and William. His son William was born in the Patrixbourne, Kent in 1515 AD. He married Jane Gason and had a son with her named Edmund. This son, Edmund Gibbs, was born in Elmstone, county Kent around 1556 AD. He married Judith Porter and had a son with her, also named Edmund. This Edmund was born in Elmstone, Kent, England around 1600. In 1663, he married Martha Martin at St. Marty Northgate, Canterbury. They had a son named Thomas. Thomas Gibbs was born in Elmstone around 1633. He had a son named Edmund. Edmund was born in the same town in around 1669. He had a son named Stephen. 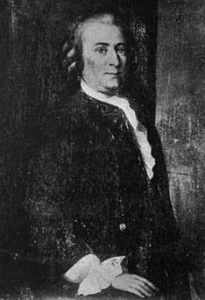 Stephen Gibbs was born in Preston-Next-Wingham, Kent, England around 1705. He married Elizabeth Andrews and they had a son, also named Stephen. This son, Stephen Gibbs, was born in Preston-Next-Wingham around 1733. He married Hannah Harrison and had a son with her named Edmund. Edmund was born in the same town around 1770. In 1792, he married Jane Holloway, and had a son with her named Thomas. This son, Thomas Gibbs, was born in Preston-Nexty-Wingham, Kent, around 1798. He married Ann Barnett and had a son with her named Thomas. This Thomas was born in Kent, England in 1836. In 1856, he married Susannah Pettman and moved to the United States at some point. Prior to his 1930 death in Lucas County, Ohio, he had three children: Thomas Barnett, Frederick J., and William H. His son Thomas Barnett Gibbs was born in Cleveland, Ohio in 1858. He married Anna S. Blue and had four children with her prior to his 1935 passing in Ypsilanti, Michigan: Claude B., George P. Sr, Ray T., and Florence S. His son, George P. Gibbs Sr. was born in Monroe, Michigan in 1891. 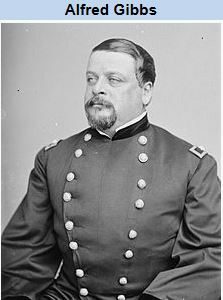 He married Clara Belle Corrigan and had three sons with her, including Warren C. and George Jr. He died in Findlay, Ohio in 1975. His son Warren C. Gibbs was born in Dearborn, Michigan in 1921. 2) Samuel Gibbs of Sandwich, had a son named Samuel in 1649 and Sarah in 1652. 5) Gilbes Gibbs of Dorchester, 1630, likely came to colonial America aboard the Mary and John, was a freeman in 1633 and selectman in 1634, who move to Windsor and died there in 1641. His will names a wife Catherine, and children including Gregory, Samuel, Benjamin, Jacob, and Sarah. 8) Matthew Gibbs of Sudbury, was of Charlestown before 1654, had, with wife Mary, supposed to be the daughter of Robert Bradish of Cambridge, Matthew and Thomas, twins born in 1656, another Thomas in 1660, John, Elizabeth, Hannah, and Mary. 9) John Gibbs of Cambridge, who came in 1637, likely in the company of General Eaton, from London, and owned lands there in 1638. Later moved to New Haven. In 1670, he married his second wife, Hannah, daughter of John Punderson, and died in 1690. He had a daughter named Margaret who was born in 1684. 10) Robert Gibbs, of Boston, Massachusetts, was a merchant, born around 1636, descended from an old family in Warwickshire, said to be the son of Sir Henry, came prior to 1660. In 1660, he married Elizabeth, daughter of Jacob Sheaffe, had issue named Margaret (1663), Robert (1665), Henry (1668), and Jacob (1672). John Gibbes, 24 years old, came to the New World aboard the Abigail in 1621. Joseph Gibbs, 35 years old, came to Virginia aboard the Paule in 1635. Jane Gibbs, 27 years old, came to Virginia aboard the Thomas in 1635. Edward Gibbs, 17 years old, came to Bermuda aboard the Truelove in 1635. Richard Gibbs came to the New World in 1679 aboard the Bachelor. Edward Gibbs came to the New World in 1679 aboard the Roe Buck. Other settlers in colonial America bearing this surname include Joseph Gibbs (1760), John Gibbs (1760), and Abraham Gibbs (Maryland 1760). In Canada, one of the first settlers bearing this last name was Edward or Edwin Gibbs who came to Quebec in 1784. In 1833, John Cornelius Gibbs, 35 years old, came to St. John, New Brunswick, aboard the Margaret from London, England. In Australia, in 1839, John, Margaret, and Haziah Gibbs came to the city of Adelaide aboard the Moffatt. In 1840, Thomas Gibbs came to Adelaide aboard the Charles Kerr. In New Zealand, one of the earliest immigrants with this last name was James Gibbs, came to the city of Wellington in 1840 aboard the Bombay. In 1841, James Gibbs, 29 years old, a cabinet maker by trade, and his wife, Charlotte, 22 years old, came to Wellington aboard the Arab. 1) 3 arrows in pale? Seal of Robert Gibbes, Phila., 1709. Gibbs uses battle axes. Jeffries MSS. N. E. Reg., Jan 1877, p. 60. 2) [Argent] 3 battle axes erect 2 and 1 [sable]. Crest: 3 broken tilting spears, 2 in saltire and one in pale ensigned with a wreath, hilts down. Engr. on a teapot, Clearwater collection, made in Newport, R. I., 1750. Dyer Early Amer. Craftsmen, p. 228. Same arms and crest on the portrait of Rev. Henry Gibbs of Watertown, Mass., 1668-1723. Owned by Dr. Frederick J. White of Brookline, Mass. 3) Quart 1 and 4:3 battle axes in pale, 2 and 1 azure; 2 and 3: Argent 2 lozenges in fess gules (Champney). Crest: an armed dexter arm holding a battle axe barways. Motto: Amor vincit patriae. Bookplate James S. Gibbes, wealthy Charleston merchant, 1819-88. Also on tomb, Magnolia Cemetery. S.C. Hist. Mag., Apr 1911, p. 98. Shield with charges in relief, attached to a column at right of pulpit, St. James Church, Goose Creek, S. C. Seen in March, 1923, by L. Park. 4) Argent 3 battle axes in fess sable. Crest: a battle axe of the arms. Motto: Beware my edge. Bookplate John Walter Gibbs, Charleston, S. C.
5) Or 3 pole-axes [sable]. Crest: an arm embowed, in armour, holding a pole-axe [argent]. The field is tricked or but is usually argent. Notepaper Mrs. Henry Lowell Hiscock, Roxbury, Mass., desc. of Lucinda Gibbs of Sturbridge, Mass., b. 1805. Printed in blue. 6) Per fess argent and ermine 3 battle axes gules. Crest: a mailed arm embowed, holding a battle axe. Motto: Tenax propositi. Bookplate Montgomery Gibbs, law writer, N. Y. 7) Sable 3 battle axes in pale argent. Crest: 3 broken tilting spears or, 2 in saltire and one in pale, ensigned with a wreath argent and sable. Motto: Tenax propositi. Tombstone of Robert Gibbs (ob. 1769) in the Old North Burial Ground, Providence, R.I. Also on wife’s tombstone. Vermont’s Amer. Heral., pp. 110, 166. 1) Robert Gibbes, Governor of South Carolina, 1709, Arms: Sable, three battle-axes in pale argent. Crest: An arm embowed in armor, holding a battle-axes in pale argent. Crest: An arm embowed in armor, holding a battle-axe argent. Motto: Tenax propositi. 3) Robert Gibbs of Boston, Massachusetts in 1660, from Warwick. Crest: Three broken tilting spears or-two in saltire, one in pale, ensigned with a wreath argent and sable. Motto: Tenax propositi. The main heraldic symbols depicted within the Gibbs Coat of Arms (incorrectly referred to as the Gibbs Family Crest or Gibbs Family Shield) is the battle axe. The Axe appears in many forms in heraldic art, coming from both the martial and the craft traditions, indeed someone today would have a hard time telling their common hatchet from a turner’s axe, but it is likely that those in the middle ages were more familiar with each. Obviously the axe from a craft tradition may symbolize the holder being a practitioner of that craft, but the axes from a martial background are suggested by Wade to indicate the “execution of military duty”. According to Wikipedia, “At least since the late Neolithic, elaborate axes (battle-axes, T-axes, etc.) had a religious significance and probably indicated the exalted status of their owner. Certain types almost never show traces of wear; deposits of unshafted axe blades from the middle Neolithic (such as at the Somerset Levels in Britain) may have been gifts to the deities. In Minoan Crete, the double axe (labrys) had a special significance, used by priestesses in religious ceremonies. The symbol refers to deification ceremonies; part of the leaping over the bull symbol also found at Crete; whereby aspirant becomes able to speak as a god to create any reality; the symbol being a sky map”.